Learn how to make your own beautiful linen jumpsuit from scratch using deadstock fabrics pre-destined for landfill. You will be guided every stitch of the way by local and sustainable design team - Common Stitch. Sizes range from 6 to 20. All materials, fabric and notions included. Must bring your own sewing machine. Sewing level: intermediate. Paddington, QLD. 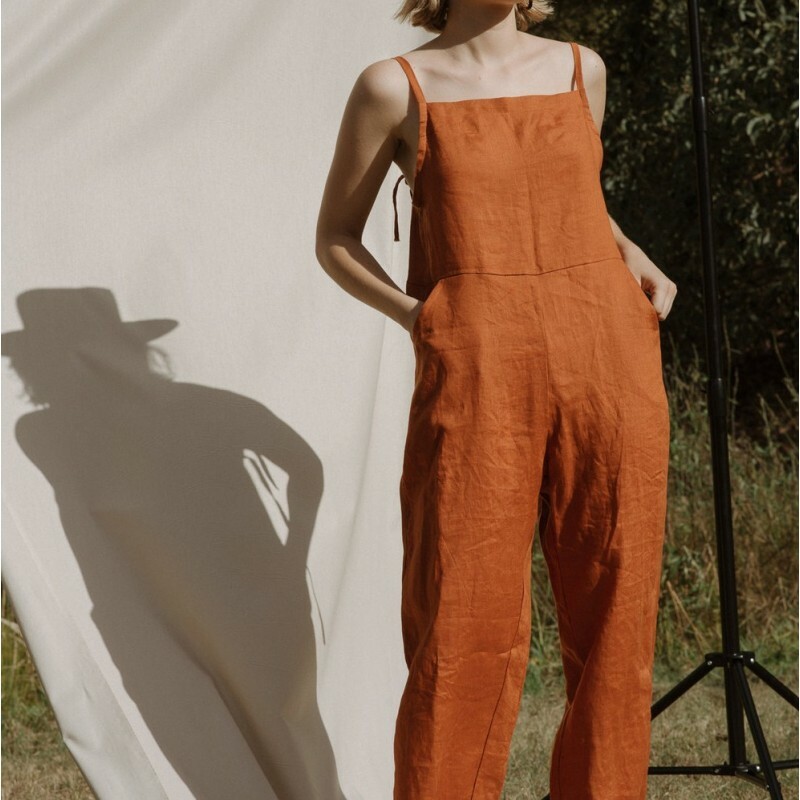 Be apart of the slow fashion revolution at this step-by-step jumpsuit workshop. Ali and Charlie (Common Stitch) will be there to help guide you along the way and give you assistance where required as you go at your own pace. You will be using fabrics leftover from large fashion houses that are usually thrown into landfill or burnt at the end of the season. By using these fabrics we can further their life, bring awareness to this fashion issue and help our environment at the same time. Take home a completed jumpsuit (size range 6 - 20), a greater appreciation of clothing and become a part of a local sewing community. Sewing level: Intermediate. This workshop includes a zip and a few other parts that may be tricky for a beginner. Must bring your sewing machine or machines can be hired from Common Stitch for an additional $20. 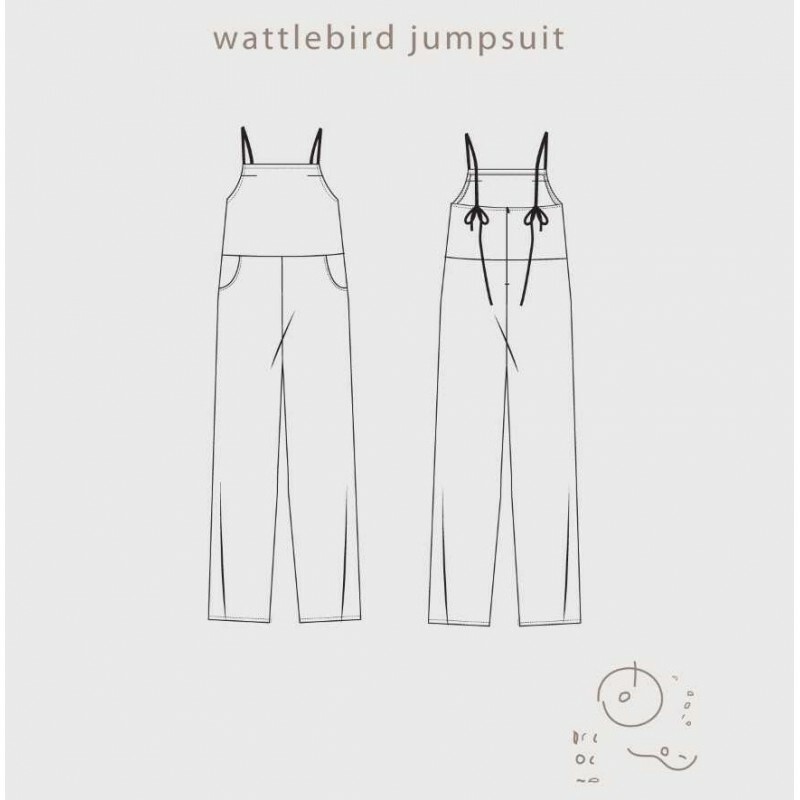 Inclusions: Jumpsuit Sewing Pattern + instructions, fabric and notions for your completed custom Wattlebird Jumpsuit to take home. Includes light refreshments. Please bring lunch. Participants enjoy 10% off in store purchases on the day. Common Stitch was created by Alison Pollard and Charlotte Mackay in 2018. With their combined backgrounds in fashion design, interior design and graphic design, the pair created Common Stitch; a sustainably responsible design studio. The main aim: to spread the act of slow learning and sustainable fashion choices, by passing along skills and sharing their combined knowledge. Dedicating themselves to the act of slow learning has enabled Common Stitch to offer completed garments, sewing patterns, and complete sewing kits geared towards designers of all levels. Common Stitch is proudly an Australian made company, with all designs made in house in our Brisbane studio. The collective space is Wheelchair accessible, disability friendly and LGBTQ+ friendly. Please note that this workshop is not suitable for children. We reserve the right to cancel the workshop and refund your money in full if we do not reach the minimum number of 8 persons booked for the workshop.